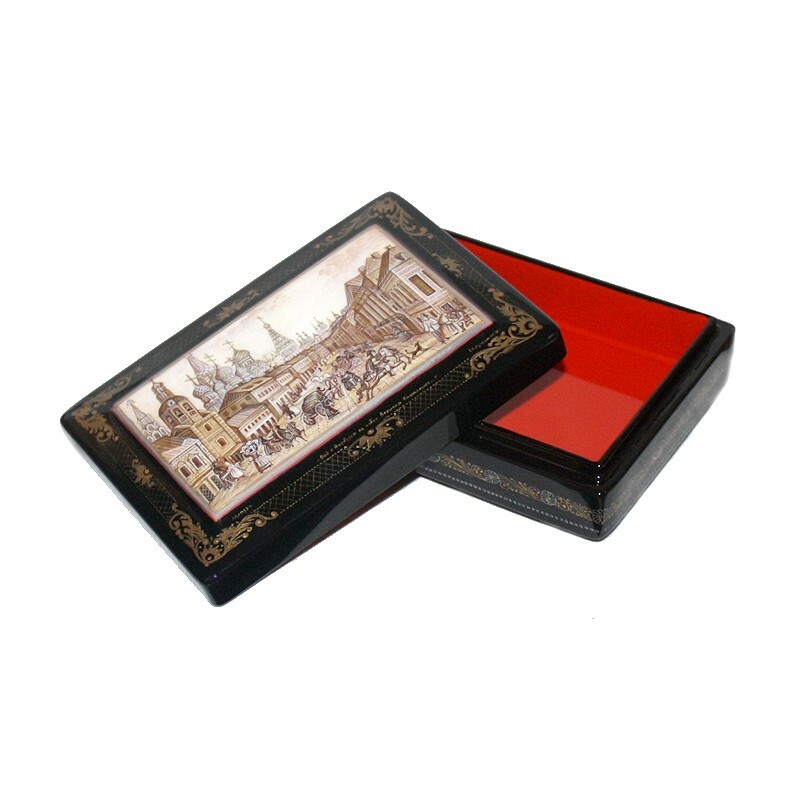 This gorgeous box was painted by Mikhail Strunin from the village of Mstera. 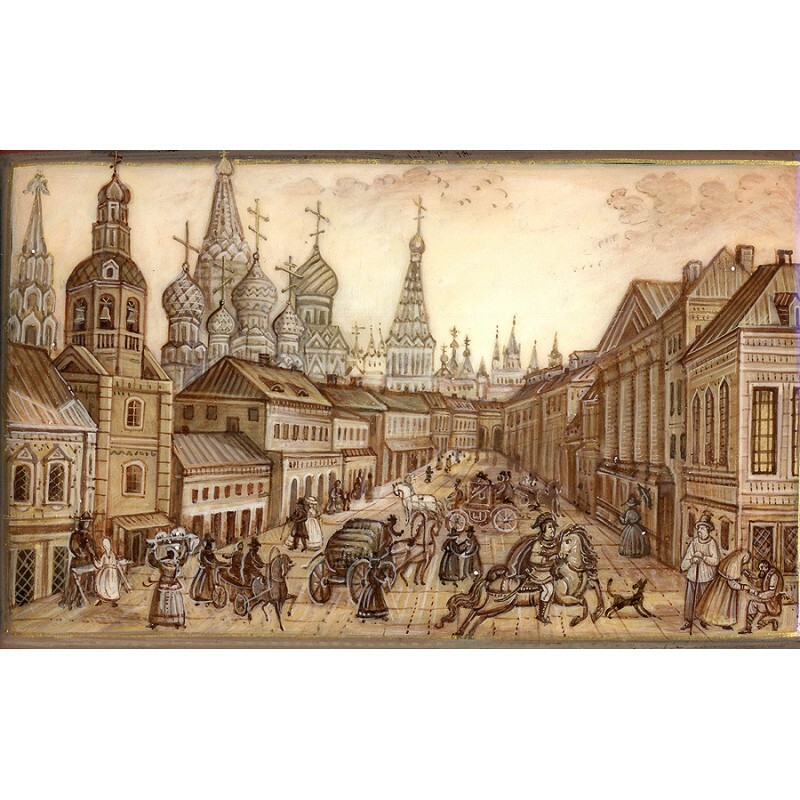 It depicts a view of the Moscow Kremlin from the direction of Varvarka Street. 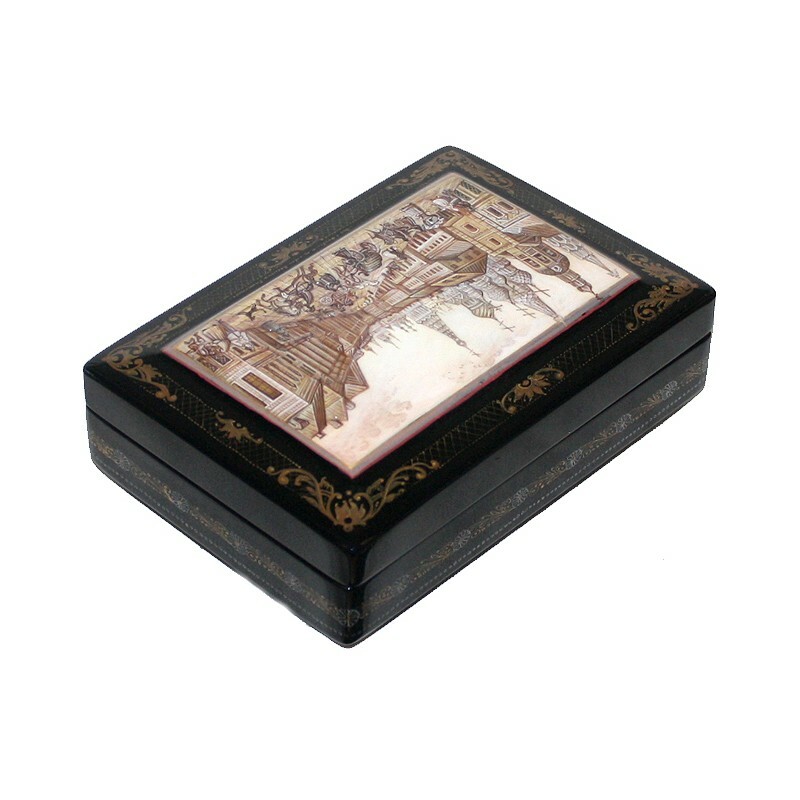 Working on this box the artist used some old paintings drawn in the 18th or 19th centuries. Painted in different shades brown tones this scene opens up a grandiose view of one the ancient streets of Russia before the viewer's eyes. It helps to imagine how ancient Moscow looked like, and observe everyday life of people who lived then. White-stone cathedrals and splendid palaces rise behind the strong fortifications, the burnished gold onion domes glisten on the sun, and the townspeople are occupied with their daily routine: some of them carry vegetables to the market or from it, the others are riding the carriages... The overall detail in this scene is simply incredible! The box is made out of paper-mache. 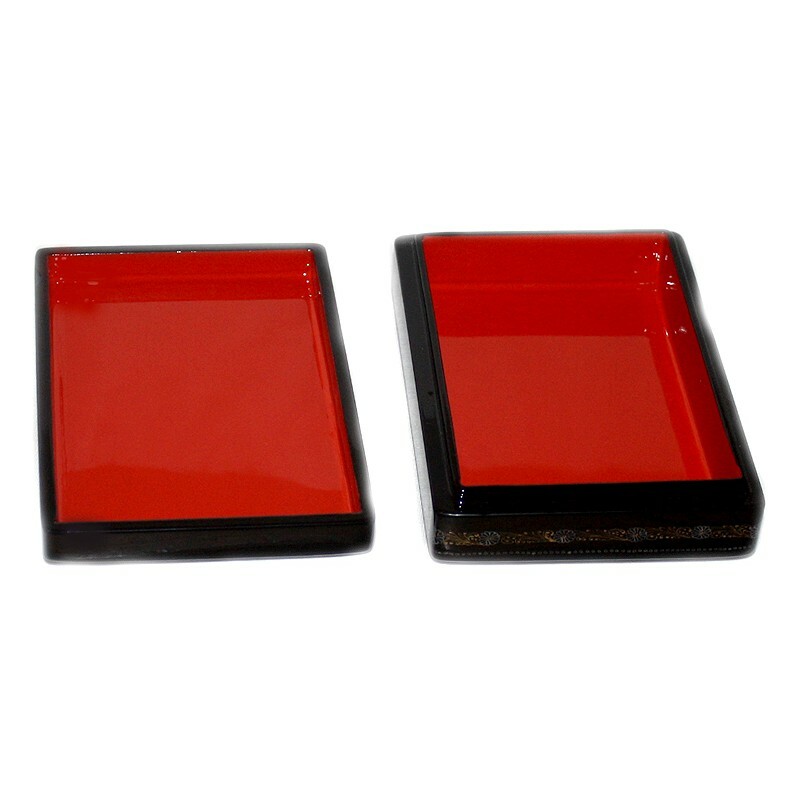 Black lacquer covers the exterior and red lacquer covers the interior of the piece. 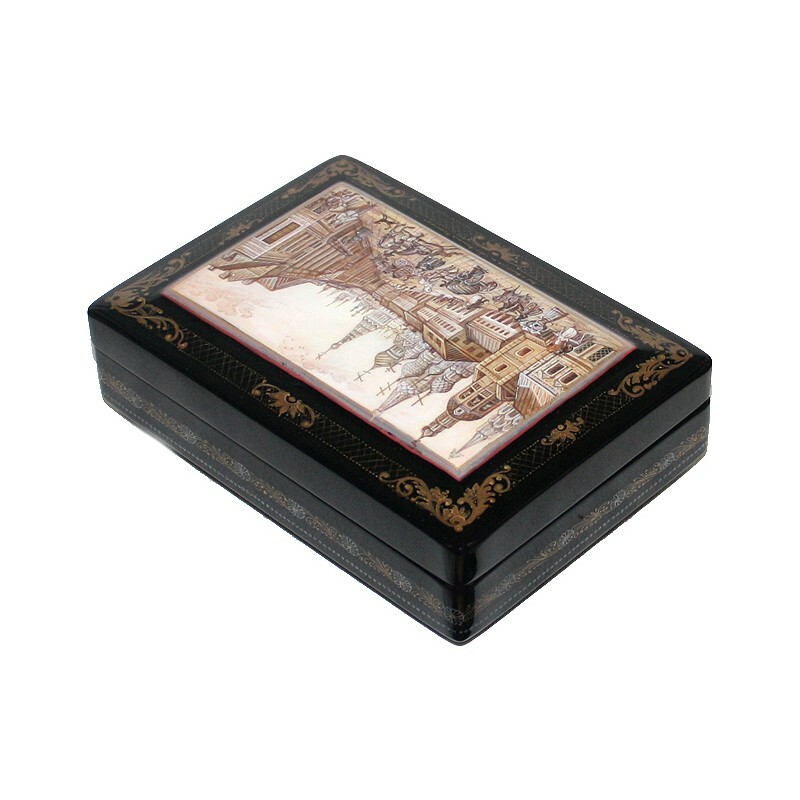 Gold floral ornamentation frames the scene on the lid. 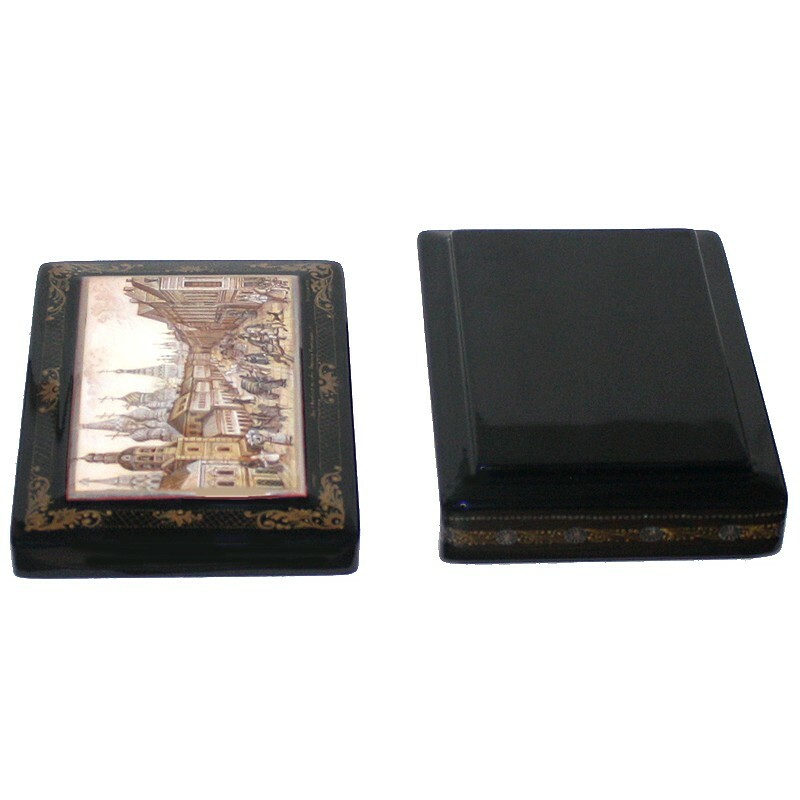 Another floral design, but a little bigger in size, wraps around the sides of the box. The lid isn't hinged , and the box rests on flat. The work is signed with the artist's name, Mstera and the title "A view from Varvarka Street to St.Basil's Cathedral".